Students are encouraged to apply for the Bridgings and Freeman Asia Scholarships in addition to other Scholarship Opportunities if they choose to Study in Japan. Aoyama Gakuin University was first established in 1874 by missionaries. The university today has two campuses and over twenty thousand students are currently enrolled. This university offers facilities such as computer center, library, and several language laboratories. In addition to offering facilities, AGU offers school clubs to help immerse the student in Japanese culture. Student will gain insight to Japanese culture through courses and daily experience in Japan. Students who want to learn more on Aoyama Gakuin University can find more information at the official university website. There are two campuses- Aoyama Campus which is the main campus at the heart of Tokyo, and Sagamihara Campus in Kanagawa Prefecture. Areas Of Study: Literature, Education, Psychology and Human Studies, Economics, Law, Business, International Politics, Communication, Cultural and Creative Studies, Science and Engineering, Global Studies. Fall Term (2nd Semester): Unavailable for one semester students as the Aoyama fall term ends after HPU's spring term begins. However, students interested in a full year can do fall and spring. Located in Osaka, Kindai University was founded in 1949, now it is one of Japan's largest universities which is comprised of 14 faculties with 48 departments, 11 graduate schools, a graduate law school, 20 research facilities, two junior colleges, 18 associated primary and secondary schools and 3 teaching hospitals. Fall Term (2nd Semester): Unavailable for one semester students as the Kindai fall term ends after HPU's spring term begins. However, students interested in a full year can do fall and spring. You can download all application documents/references from here. The predecessor of Momoyama Gakuin University (MGU) was established in 1869 by the Church Missionary Society of England and therefore has St. Andrew's University as its English name. The modern university was founded in 1959 and in 1995 moved to its new campus in Izumi, in the Osaka suburbs. Fall Term: Unavailable for one semester students as the Momoyama fall term ends after HPU's spring term begins. However, students interested in a full year can do fall and spring. Located in Nerima Ward, Tokyo, Musashi University (MU) was established in 1949 as private institutes moving forward with the principle of cultivating individuals by harmonizing eastern and western cultures. Today MU is one of only thirty, four year private universities in Japan to offers a study abroad program in English. If you are fluent in Japanese or just know basics Japanese, MU offers a variety of courses taught in both Japanese and English. In addition MU has over four thousands students, one hundred ten faculty members, and eight different undergraduate departments. The campus offers an array of facilities and services that caterer to students such as athletic facilities, health center, counseling services, foreign language center, computer center and foreign book plaza to name a few. Also, MU helps students be evolve in the university in a program called Campus Mates; where they help foreign students in adjusting to the campus life in MU. Such socialization is beneficial to create long lasting friendships in your time aboard. Once at the campus you are in presence of such breathtaking views such as Ikebukuro, Shinjuku, and Mt. Fuji. Fall Term: Unavailable for one semester students as the Musashi fall term ends after HPU's spring term begins. However, students interested in a full year can do fall and spring. Nagoya University of Foreign Studies, located in Nisshin-city, was founded in 1988 and has been growing steadily since its establishment. Starting with only the School of Foreign Languages, NUFS doubled its offerings by establishing the School of Global Business and Economics in 1994. 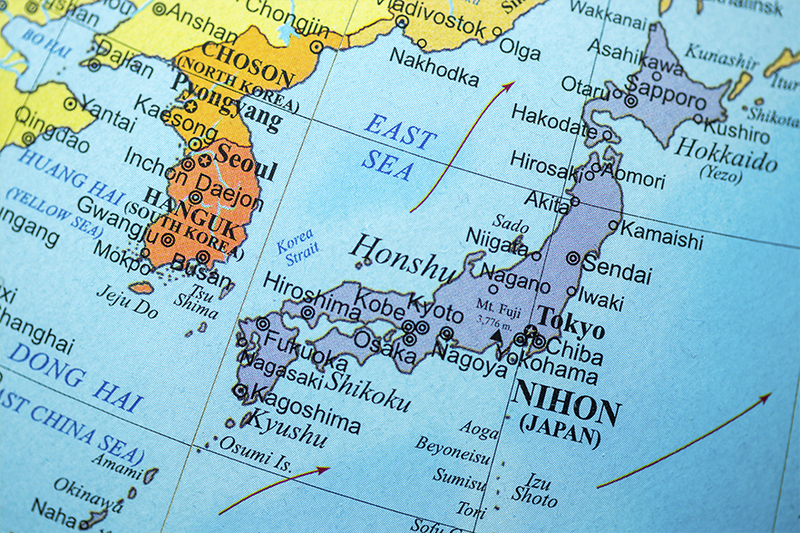 Course Search: Japanese Language and Culture (Global Studies Japan Program) Courses. The TESOL is a language teaching practicum program. Located in the suburbs of Tokyo, Obirin University derives its name from "beautiful cherry orchard," highlighting the cherry blossoms that bloom on campus each spring. The name also shows it historical link with Oberlin College in Ohio, the alma mater of the school's founder. Obirin Website- Please note that the program is described as the Reconnaissance Japan program. Fall Term: Unavailable for one semester students as the Obirin fall term ends after HPU's spring term begins. However, students interested in a full year can do fall and spring. Obirin Application- Deadline: Fall Term:May 1st; Spring Term: November 1st. Located in Tokyo, Toyo University offers cultural lectures and academic exhibitions of artistic contents. For international exchange students, Toyo University offers intensive Japanese language and culture course called NEST Program. With individualized attention and boundless opportunities for authentic communication in and out of the classroom, students quickly make progress in their Japanese acquisition. Boasting 130 years of academic distinction, it is famous in Japan for its excellence in education and research, which is carried out in 46 academic sections housed in 14 faculties across 5 campuses, and for our outstanding achievements in sports, such as sumo wrestling, baseball and soccer. Bunkyo-ku, site of Hakusan Campus and the Japanese language and culture program for exchange students such as a homestay, tea ceremony and wearing a traditional Japanese clothing (kimono), is highly regarded among locals for its many academic institutions and popular urban traditions. Fall Term: Unavailable for one semester students as the Toyo University fall term ends after HPU's spring term begins. However, students interested in a full year can do fall and spring. Students are eligible for the JASSO Scholarship; however, it is very competitive. You can find more information on the application page.